Their wish came true. 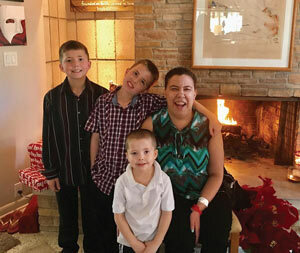 A remarkable young woman by the name of Nicole Marchman began fostering Brent and Aaron when they were ages four and two, respectively, and later fostered Preston, and over the coming years, began the formal adoption process for all three boys. Then, by a cruel twist, Nicole became ill. I recently met the boys, Brent (11), Aaron (9), and Preston (5), at ROC Park in Madeira Beach. (ROC stands for Remember Our Children) where they were choosing a memorial tree for their Mommy Nicole in remem-brance. Nicole passed away from pancreatic cancer in January at the age of 35. The last time the boys were at this park was with Nicole, when she told them the news that the adoption could not in fact move forward due to her illness. That was six months ago. The day I met them, the boys were in good spirits. We discussed school, their favorite subjects (Brent enjoys writing, Aaron adores music, Preston loves learning new words), and super heroes (Brent’s favorite is Captain America; Aaron’s are Batman, Captain America, the Flash, Superman, and Supergirl; Preston’s are the Incredible Hulk and Spiderman). We talked as we walked among the trees with blank name plates waiting to be chosen for memorials. While weaving between the trees and considering each one carefully, they chatted about foods they like (pizza, tacos) and don’t like (broccoli, spinach – but let it be known that pineapples rule). The boys listened well to their guardians for the day, Eileen and Jim Bedinghaus, respite caregivers for foster families in need of a break. They had been caregivers filling in for Nicole for years, allowing them time to build a strong relationship with the boys as their ‘foster grandparents.’ They have a knack for knowing when to provide the boys with advice, guidance, and of course, well-timed snacks. “I’m hungry,” Brent explained to me. These sun-kissed, freckled boys are indeed resilient, and yet, at the end of the day of fun outside – running across the park so fast it’s like flying, watching boats soar past in a blur of motor hum and sea foam, throwing themselves into an imaginative game of commandeering a pirate ship with their trusted comrades, their brothers – they’ll have to return to reality. A reality in which they live in separate houses, attend separate schools, and continue to nurture the dream, the hope, that one day they’ll all be together again for good – part of a forever family. In the meantime, Brent immerses himself in school and sports – football, basketball, baseball, and martial arts. Aaron is more intuitive and artistic, favoring music. According to Jim, when Aaron encounters a piano, he creates chords and melodies curiously, not plunking away at random. There’s an untapped talent there waiting to blossom. Young Preston adorably busies himself with keeping up with his big brothers, joining their games and competitions with unlimited enthusiasm. To see them play together, to hear their laughter ringing across the park, to experience the warm surge of friendship they bestow upon any new acquaintance, joy radiating from their faces – one would never guess the trials and deep disappointments they’ve faced in their few years. But one thing is for sure – they will always cherish the memory of Mommy Nicole. 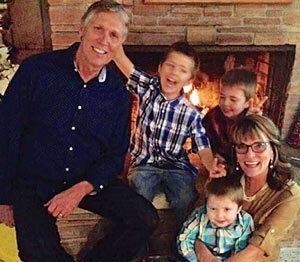 Nicole left behind a legacy – not just as a much-missed mother to these boys. She was also in the foster care system in her youth, and upon aging out of it, she was awarded custody of her younger twin sisters (they were 11, she was 19). After that, she raised them, put herself through school at USF, completed a master’s degree in social work, created ministry against domestic violence (the None Lost Movement), and still found time to write a book. She had a close relationship with Eileen and Jim, who were planning to adopt her as an adult. One day the boys will have a forever home and a loving, forever family. It’s a dream and hope – and one day, a reality – that anyone who meets them will cling to. As the sister of three adopted brothers, I can personally attest to the miracle of bringing children into a family through adoption. My brothers (all biological brothers themselves) joined my family when I was 12 (they were 10, 8, and 6), and to this day, I don’t hesitate to name them when asked about the best thing that ever happened to me. Our family has been enriched by them, and I am proud of them every day. I know that my life would be incomplete without them. 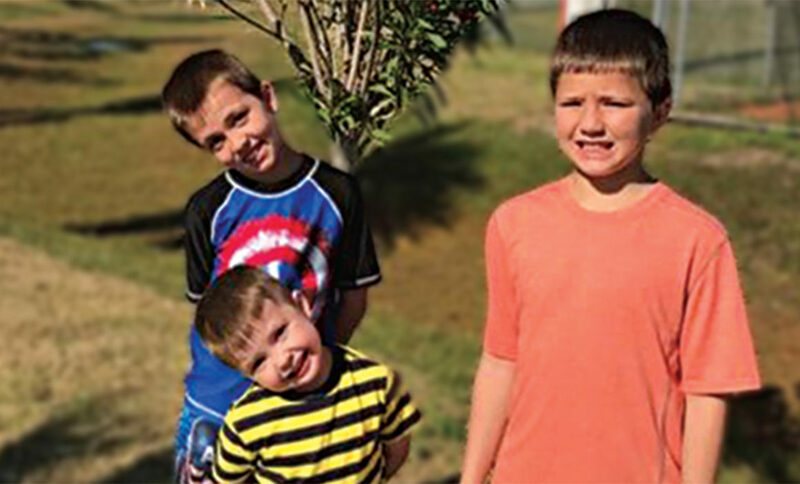 And while Brent, Aaron, and Preston are in need of a forever home and adoptive family, there are many other ways to help them and the multitude of other children in similar situations. Mentoring, Big-Brother/Big-Sister programs, respite fostering, tutoring, and full-fledged fostering are all ways to become involved, especially for men, as there are already many female volunteers and these children need positive male role models as well. 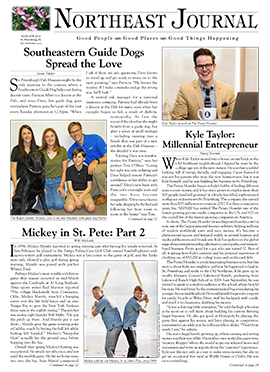 For information on adoption, please reach out to Kailey Malone at kmalone@eckerd.org, and to learn more about becoming a Foster parent, contact Laurallyn Segur at lsegur@eckerd.org.